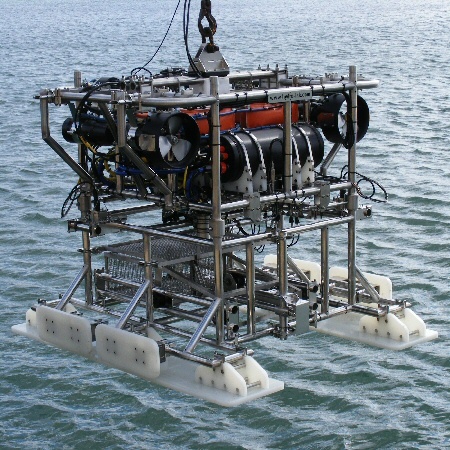 Hydro-Lek's HyBIS (Hydraulic Benthic Interactive Sampler) is a simple, cost-effective, highly versatile and maneuverable underwater platform capable of deployment to 6,000 meters. It is designed to operate in conjunction with existing deck-handling and cable systems carried by most research and survey vessels. The HyBIS concept was originally developed in collaboration with the National Oceanographic Centre (NOC) in Southampton, England, to survey and interact with the deep-ocean floor without recourse to expensive and complex work-class ROV technology and specialist crew.